A fascinating series of dialogues with Joseph Campbell, revealing at every turn fresh aspects of his genius, wisdom, and understanding. I hope this much-needed book will be widely read and pondered. We don t have enough personal history regarding Joseph Campbell, so [this] book fills a real need. Blissful! Illuminating! The voice of the master storyteller himself...An outstanding introduction to the great teacher and personalizer of our myths and muses. These stories reveal how [Campbell s] sense of the oneness of mythology began and grew over the course of his long and event-filled life journey. As we read them, we experience the warm human presence of a man who spent his life learning from others as well as teaching. Recommended. 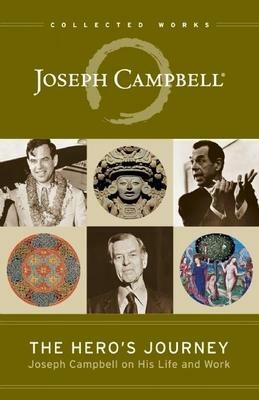 Joseph Campbell (1904-1987) is widely credited with bringing mythology to a mass audience. His works, including the four-volume `The Masks of God` and `The Power of Myth` (with Bill Moyers), rank among the classics in mythology and literature. Phil Cousineau is an award-winning writer and filmmaker, teacher and editor, lecturer and travel leader, storyteller and TV host. He has written and co-written numerous books on religion, travel, and mythology, including `The Art of Pilgrimage` and `Once and Future Myths.` He lives in San Francisco. Stuart L. Brown was the executive producer of (and driving force behind) the popular documentary film `The Hero's Journey: The World of Joseph Campbell.` He lives in Northern California.